During your weight loss journey, you may get tired of eating the same healthy foods and understandably want to enhance the flavor. However, it is important to know how to add flavor without sacrificing nutrition and sabotaging your weight loss efforts. Some foods that are healthy on their own can become loaded with calories, sugar, and sodium once we flavor them with butter, creamy sauces, dips or marinades such as BBQ sauce or hoisin sauce. For example, adding just four tablespoons of BBQ sauce to an otherwise health conscious choice, such as boneless skinless chicken breast, can add as much as 140 calories, 600mg of salt, and 30 grams of sugar! There are plenty of healthier ways to add flavor to your meals without loads of calories. Vinegar is a high-flavor low-calorie option. You can make your own vinaigrette so that you can control the oil content and boost the vinegar. For a classic vinaigrette recipe, start with this basic recipe and add fresh spices to taste: whisk 2 tablespoons red wine vinegar, 2 teaspoons dijon mustard, 1/2 teaspoon kosher salt, and pepper to taste. Gradually whisk in 1/4 cup olive oil. You can try different ratios to figure out which blends you like best, and can lower the oil content as you experiment. Citrus is also a great way to flavor your food with an infusion of freshness. Rather than adding butter, cheese or hollandaise sauce to your broccoli or asparagus, squeeze lemon over your steamed veggies for a delicious and healthy alternative. Red pepper flakes or hot sauce can add some spice to your food without added calories or sugars. Another great choice is fresh herbs. Combine some fresh herbs and citrus and you have a delicious, heart-healthy dressing for your fish. Replace that BBQ sauce on your chicken with a few tablespoons of salsa and you can save hundreds of calories, without sacrificing taste. Salsa is also a good substitute for sour cream or butter on a baked potato. Another idea to enhance the flavor of your food is to roast your vegetables or fruit. It concentrates the flavor and brings out the natural sugars, without the need to add extra calories. Our team at Olde Del Mar Surgical is committed to helping you learn how to make healthier food choices as you progress in your weight loss journey. Here are some more ideas from our team on how to set up your kitchen for healthy eating. 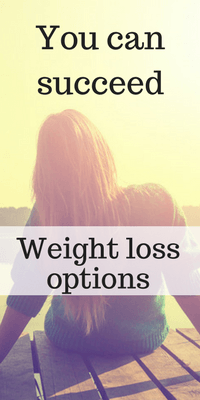 To learn more about how Olde Del Mar Surgical can help you achieve your ideal weight through our surgical and non-surgical weight loss programs, call us at 858-457-4917.